Long time, no write my attention has unfortunately pulled me in other directions lately so I have not had much of an opportunity to focus on the dolls. It’s not that I’ve lost interest in the dolls, I just don’t have all that much free time to focus on them anymore somehow I even missed mentioning the announcement of Pullip Yuhwa here. 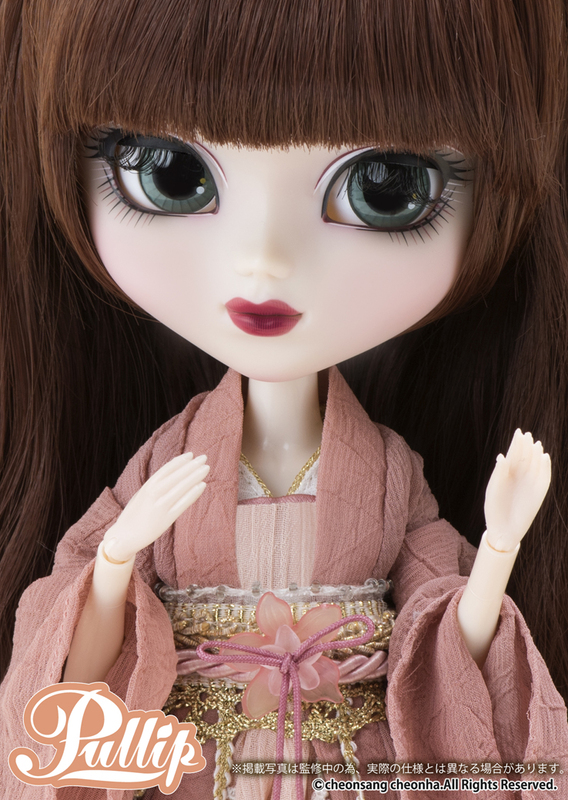 Pullip Yuhwa was initially announced for an April release in Japan but was shortly thereafter delayed to a May release. 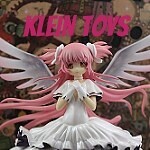 She has a MSRP of 20,000 yen. I love her celestial robes and her almost ethereal vibe as well as her kind of dusty rose color scheme but I’m not quite sure about the hairstyle, while I know it a traditional style I wish they had gone another way with it. Yuhwa has a very unique face up, her lips are accentuated with a very distinctively shaped paint application. It always amazes me how much Pullip’s face can appear to change with the right face up. I apologize for this post kind of being on the short side but somehow I don’t really have a lot to say about her, she’s pretty but there have been a lot of more formal or fancy Pullips so far this year I find myself craving a doll with a bit more casual style at the moment. Pullip Yuhwa is available for preorder via Pullipstyle. This entry was posted in Uncategorized and tagged asian fashion doll, fashion doll, Pullip, yuhwa. Bookmark the permalink.